Every year, Easter marks the moment when marketers put their heads together to create the most creative and engaging campaigns based around the chocolate-driven holiday. From innovative uses of augmented reality apps to brand partnerships infused with national identity, New Zealand businesses have delivered year after year with stunning social campaigns. In the midst of 2019's chocolate rush, we've taken the time to dig through the Easter content rolled out in 2018, and select the best of the best. Social media marketers - take note. 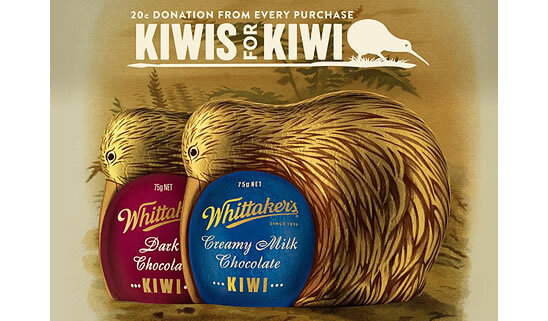 In 2018, Whittaker's released a social media campaign in partnership with national charity, Kiwis for Kiwi, in an effort to support the community-led conservation project. A noble cause, indeed. There were a few elements that separated this campaign in particular from the pack. It's well known that Kiwis love an organisation that incorporates social responsibility into its marketing and corporate structure. By partnering with a foundation that supports the conservation of our national bird and icon, the Kiwi, a chord in hearts of New Zealanders was struck. Whittaker's offered 20c per purchase to be donated directly to the charity, establishing a direct link between purchase and the idea of good will. Utilising and giving back to a New Zealand charity compelled Kiwis to click, share, engage and purchase - driving sales away from their chocolatiering competitors and dropping coin into a deserving cause in one fell swoop. An element that really tied this campaign together, was the end product offered. Whittaker's took the tried and tested 'Easter Bunny' design, and created their own version with a spin - the Kiwi bird. The end product was a symbol of national identity, and served as a fantastic point of difference from their competitors. The 'Kiwi egg' was perfectly in line with their banding and seamlessly captured their target audience - New Zealanders. Operating as a family-owned business for 116 years, and voted by Kiwis as NZ's most trusted brand of all brands, Whittaker's is often chosen of its competitors because of its perceived authenticity. The 'Kiwi egg' design further perpetuated this idea, and wrapped it up in a beautifully designed gold foil to sell. This campaign was the perfect storm of a brilliant campaign that encompassed the values and perception of the brand perfectly, with stunning creative. A short video was released across all social media channels, launching the competition 'The Great Kiwi Weight & Date Debate'. This creative encouraged Kiwis to engage with the social post and guess the weight and date of a newly hatched kiwi egg. Here's a snapshot of the stellar results the campaign delivered. We tip our hats to you, Whittaker's. The Kiwi Supermarket giant, New World, went to bat in 2018 with an exceptional Easter social marketing campaign, that encompassed mobile applications, augmented reality and a brilliant social media push. The supermarket launched a free, downloadable app that allowed users to chase the Easter Bunny's lost eggs in New World's 138 stores nationwide. Virtual eggs were then able to be traded for a real life chocolate egg, and users were offered the chance to win a paid trip to Disney Land - any child's dream. As many of us know, taking children to do the weekly shopping can be challenging in itself, let alone when there are chocolate eggs wrapped in enticing foil placed right in your kids eyeline. Creating an app that engaged children turned the routine shopping experience into something fun. For parents, it was simple - download the app and pass your phone to your child and watch them be entertained while you shop. 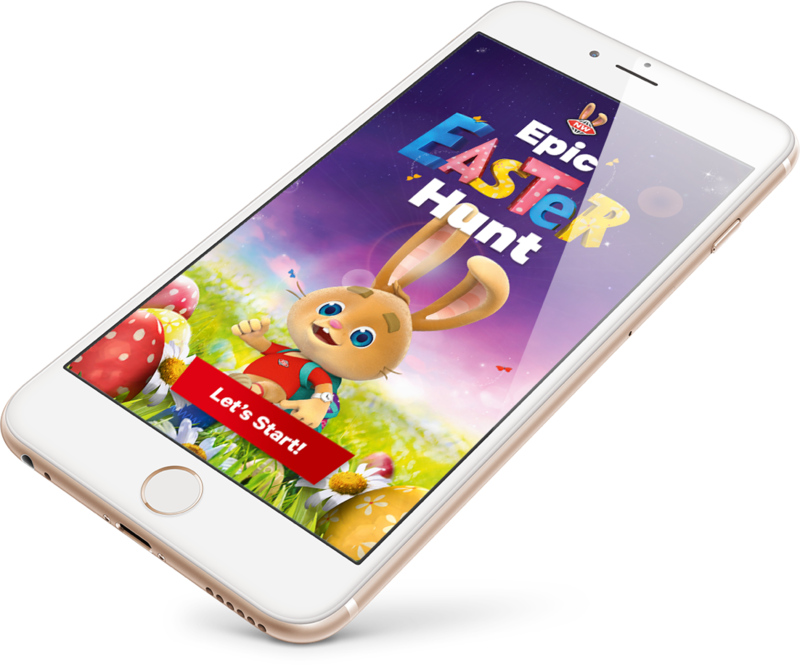 The Great Egg Hunt app is the perfect example of a campaign that had fantastic audience insights and managed to create a solution that captured the target persona perfectly - children were entertained, parents were relieved, and the perception of 'stressful shop' was reversed over the Easter period. One of the elements that really made this campaign tick, was having its foundations well rooted in the base of an augmented reality application. Augmented reality "adds an enriching layer to your real-world experiences, building a bridge between real and virtual." This is what essentially drove this campaign. The app itself was well developed in terms of functionality and design. The colours were on-brand for New World, and were bright and pleasing to the eye of a child - the target audience. It also served as an innovative point of difference from its direct competitors. No other supermarket chain offered an in-store app for kids, making New World a frontrunner in the mobile category. To tie this all together, there was a large carrot dangled at the end of a stick for users - a free trip to Disneyland. Alongside being able to swap out virtual eggs for real ones, children had the overhanging dream of a trip to Disneyland as incentive to play. It's clear from these two well-executed campaigns, that a winning Easter concept involves innovation, brand alignment and capturing your target audience exceptionally. Let us know what you think of these social campaigns, or any sure-winners you see rolling out this year - and while you're here, why not check out how your own brand is doing on the social scoreboards?